To their own surprise, the organizers of the recent one day workshop on electronic evidence at Delhi HC received an overwhelming response. They had sent messages to DHC bar members announcing it and hoped to get enough lawyers on board to make an easily manageable group of 40 participants. They actually got over 250 responses! This little statistic is clearly an indicator of the unprecedented importance that electronic evidence has now acquired in legal work at all levels. It also shows that many lawyers are conscious that they must find ways to educate themselves. In the end 100 applications were accepted. Judge S Muralidhar of Delhi High Court, in his inaugural address at the plenary session of the workshop, pointed out that ' a huge volume of electronic evidence is pouring in' and more alarmingly, that at this point, 'there is no means for receiving it'. He also informed the audience that Delhi High Court is making very significant progress in its overall efforts at digitalization. It seems an astounding 7 crore pages of Court records have now been digitized and 35,000 square feet of space has been retrieved in the basement storage area of the Court. Further, incredible as it sounds, 5 DBs are now 'paperless' courts. He went on to say that 'no lawyer today can afford not to know' about electronic evidence, because just as personal life is changing as a result of digitalization and the internet, this reality is increasingly reflected in the work of the courts. He discussed various complex problems that arise when legal matters encounter technological obstacles. However, there was also one reassuring theme in Judge Muralidhar talk; he was at pains to clarify that the basic rules of evidence have not changed, nor will they do so. He advised lawyers that they should not feel intimidated and should instead develop their understanding and base their arguments on the fundamentals. Essential concepts such as the relevance and reliability of evidence, non- reliability of hearsay evidence, except in particular circumstances, etc remain valid for electronic evidence as well. Most importantly perhaps, even where the authenticity of an electronic record has been established through digital signature, encryption etc, its content must still be proved according to the classical law. What changes in the case of electronic evidence is the medium through which or in which it is presented. That is the point to be borne in mind. Thus the key concepts in sections 64 and 65 of the Evidence Act, which deal with proof of documents by primary and secondary evidence, have been supplemented by sections 65A, 65B which set out requirements in relation to electronic evidence. So one of the most important issues in terms of court work today is the need to identify the original and admissible copy in the context of electronic evidence. Muralidhar J described section 65B as a substitute in relation to electronic evidence for the original Act's provisions on secondary evidence. 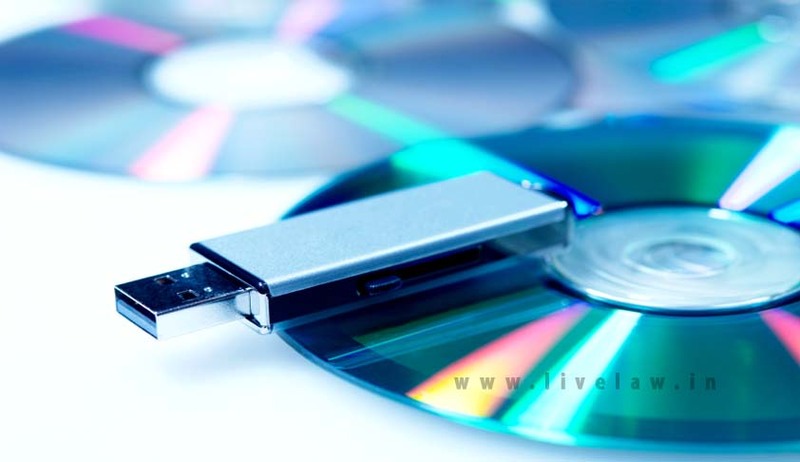 Section 65B sets out the circumstances in which an electronic record 'copied in optical or magnetic media produced by a computer', may be admissible in court without the 'original'. The effect of this section is that electronic records such as those of phone conversations, of governmental or other 'wire-tapping' activity, of web pages that have been taken off the internet, may be proved through the use of electronic copies. As Judge Muralidhar pointed out, one of the advantages of electronic evidence is the ease with which it can be replicated, but the challenge is how to preserve it and how to make back up records. The possibility of originals getting lost, damaged, or destroyed is a very real one. To ensure the reconstruction of such electronic documents, it seems that Delhi High Court has adopted the practice of filing spare copies of all electronic evidence in separate servers. Another, and perhaps most critical issue, touched on by Muralidhar J was the immediate need for framing rules regarding the filing , preservation, and authenticity etc of electronic records in various courts. He had most of us thinking hard with a very practical, down to earth example of situations that now arise even in the lower courts: What is the magistrate to do in a case when there is a complaint regarding an offensive message in a cell phone? How is he to receive the evidence and preserve it? The traditional 'maalkhana' is obviously an irrelevance in the context. Things are evolving, though slowly, even at the Delhi High Court which is quite advanced in terms of digitalization. Advocate Vijay Kumar asked Muralidhar J, at the end of his speech, why electronic evidence could not be viewed on the net, even though it was filed regularly in many cases. The answer was essentially that security requirements have to be met and that there were plans to make encrypted PDFs accessible to a limited extent. The judge made clear that privacy issues had to be examined with utmost seriousness before evidence could be released for viewing online. While the fundamentals will not change, it is clear that the lawyers of today have to function in a very challenging environment. There are more questions than there are clear cut answers. For example, during the group sessions and canteen conversations some serious concerns were raised about the competence of officials to issue the certificate required under section 65B. Some lawyers were very doubtful about who is actually in 'lawful control over the use of' computers used in banks, and other financial institutions, and who really knows whether particular data has been 'regularly fed into the computer in the ordinary course of ' banking activities. In one of the groups that the participants were divided into after the plenary session, there was a vociferous discussion on the topic of erasing or deleting electronic data. At one point the facilitator, Dr Vijay Maurya Chandra, brought up the comment made by Judge Muralidhar that 'deletion is a myth', meaning that anything that is deleted can be retrieved. Novices in the field felt a little lost when one of the more knowledgeable bar members stated forcefully that the statement was true, but for the time being only in theory. Contacted afterwards, Aditya Kant Advocate explained that the statement, 'nothing can be permanently deleted', may be true as an intellectual matter, but in practice the outcome in a particular situation depends. On what? Technology and the level of advancement that has been reached. It seems that in India retrieval is possible up to 3 'layers' of deletion. In places where more advances have been made, it is possible even up to 7 layers. In other words, while there is no limit to intellectual conceptualization, technology itself can be a barrier. Each barrier may be overcome, but it takes time and increasing human ingenuity. During the final part of the one-day workshop, some renowned experts in the field of digitalization and cyber forensics were to speak. As things turned out however, this part of the proceedings turned out to be rather disappointing for the participants. The simple reason was that that time had run out and the experts had only a few minutes each to explain what are after all very complex matters. Anyhow the workshop was a very important first step. We hope the organizers will draw lessons from this experience and organize more and even more effective events. In view of the interest level and the overall need for the bar to understand the implications of the law and technology of evidence, Judge Muralidhar's suggestion that the bar itself should organize peer group learning and discussion sessions appears most appropriate. Hopefully the Bar Association will take up the challenge.